I stumbled upon this awesome period piece from Reading, PA. 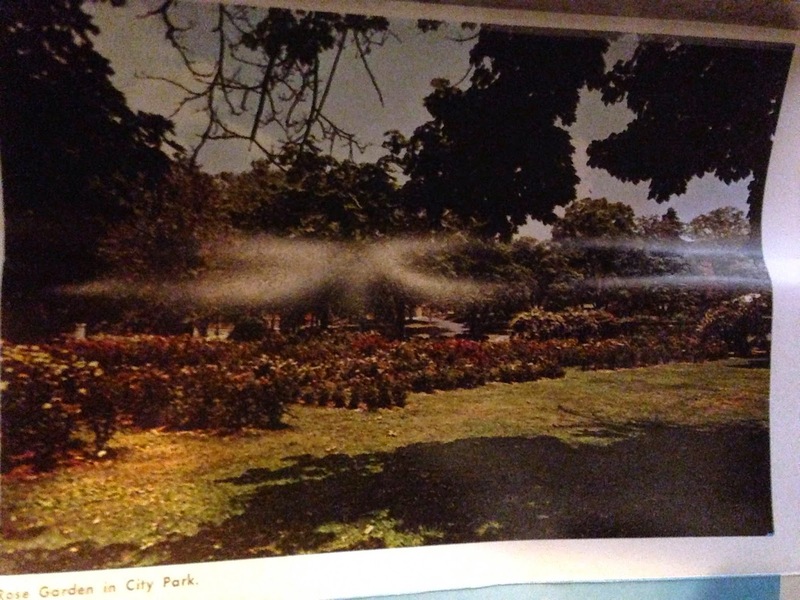 It is a folder of postcards that are all connected. 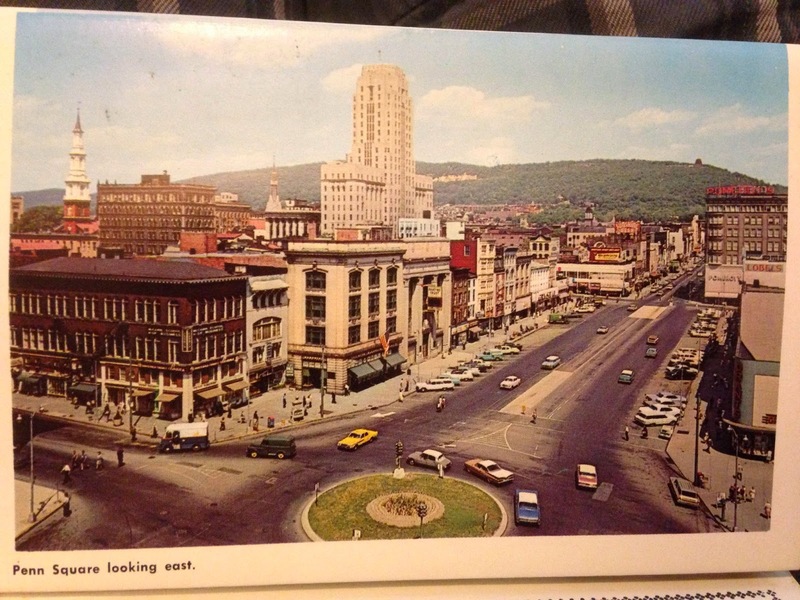 From what I can gather, it appears to be from the 1950s or 1960s judging upon the cars. Several hints, including certain businesses and names exist, but I have not found much conclusive regarding the exact dates. 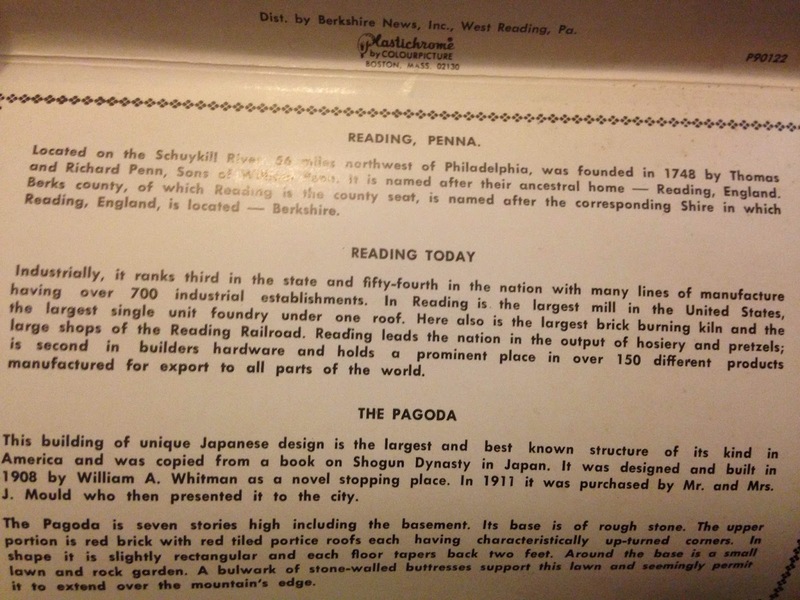 We know it is from before 1976 because the Reading Railroad still existed and it mentions Reading being the third largest industrial center in the state of Pennsylvania. 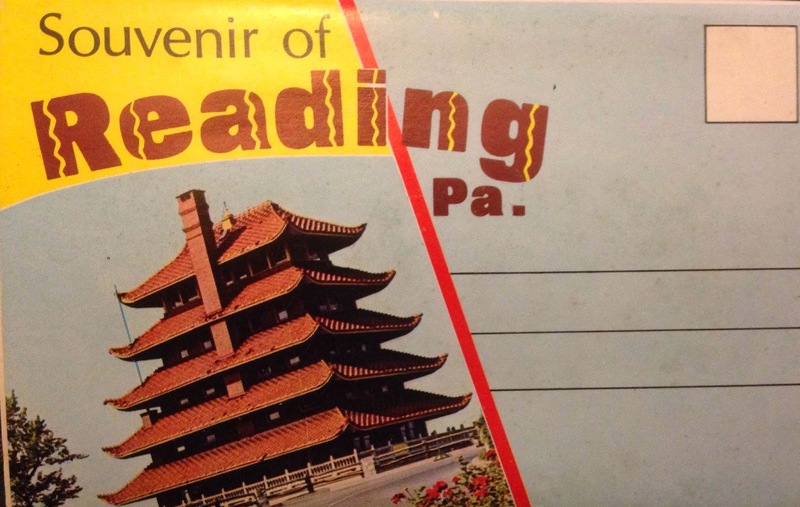 You can see throughout the postcard that these were much better times in Reading. There were no abandoned storefronts and we know there were quite a few more companies based out of the city. Western Electric had a very large plant here, similar to the not too far away city of Allentown. Now empty industrial buildings riddle the city. The city is slowly bouncing back, but this is a city that has lost several of its largest employers over the last 20 years. To build context, this city has faced the same plight as other mid-sized Rust Belt cities like Allentown, Johnstown, Altoona, Wilkes Barre, Scranton, Akron, Youngstown, New Castle, McKeesport, and others. Below is the cover of the folder thing. Nobody mailed it so it is more difficult to pin down the exact date as you can sometimes tell through a postmark. 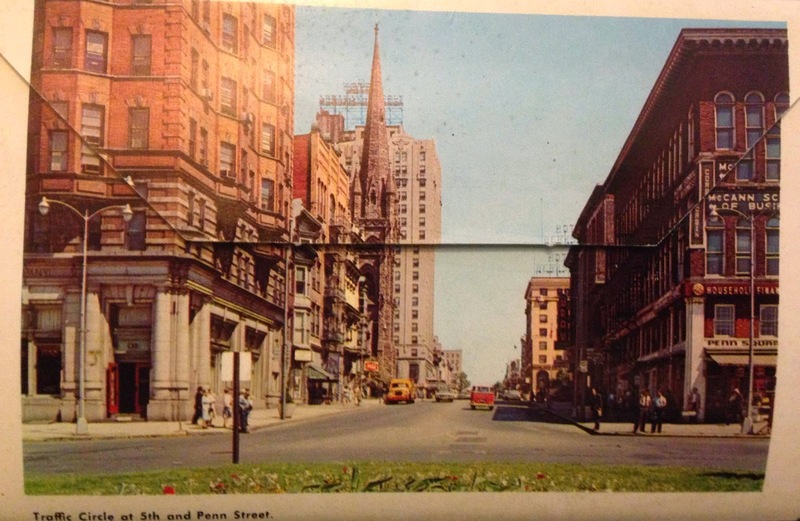 Below is the backside of the folder, with a very cool look from the center of town at 5th and Penn. Below you can see some (sadly) dated information about this once thriving industrial town. 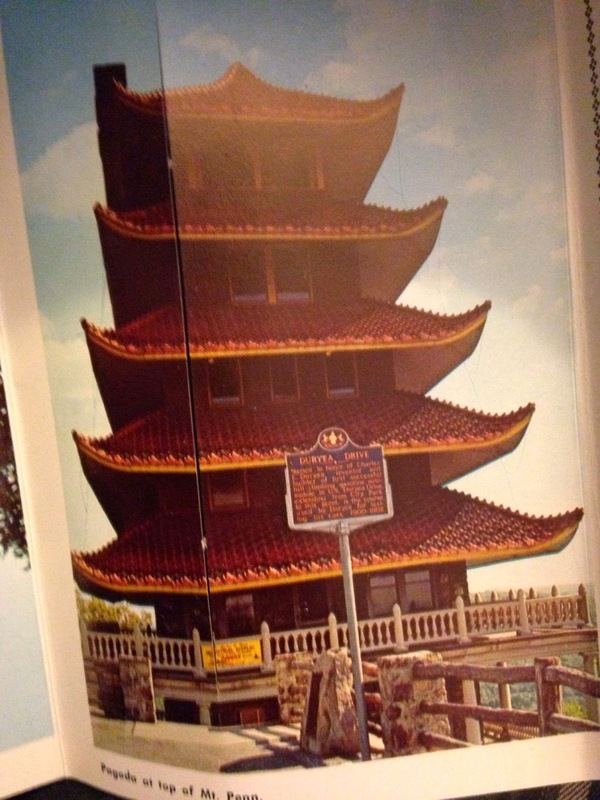 Below is one of the most fascinating buildings, the Reading Pagoda, built at the top of Mount Penn overlooking Reading. It was built in 1908 for a hotel and restaurant. The plans fell through and it was donated to the city in 1911. Anti-Japanese sentiment in the Japanese Internment era in World War II led to calls to tear the building down, but protection of the building prevailed. Here you can see the thriving downtown of Reading with several department stores, including Pomeroy's and the Berkshire and Abraham Lincoln Hotels. The Berkshire is now an apartment building and the Abraham Lincoln still exists as a Wyndham. Below is a really cool place dedicated to the memory of those who are often overlooked in any community, volunteer firefighters. 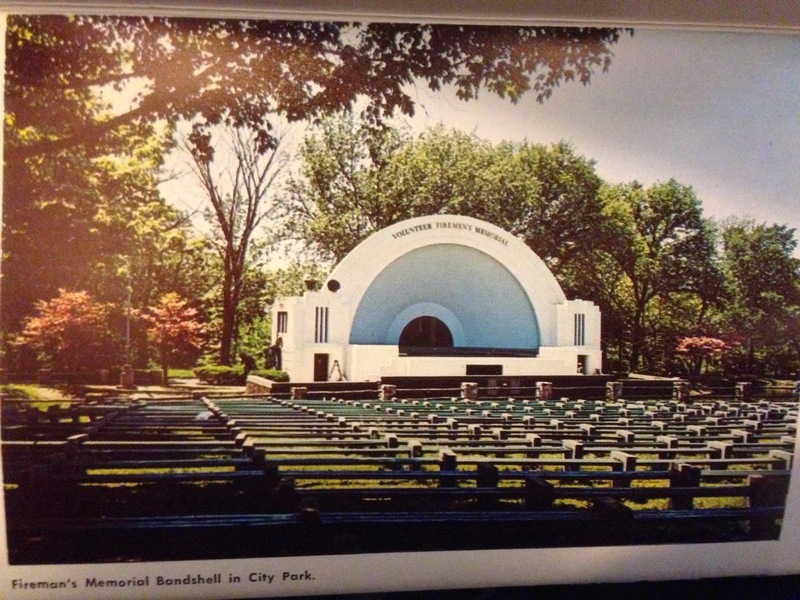 The Fireman's Memorial Bandshell is located in the city park and houses musical performances to this day. 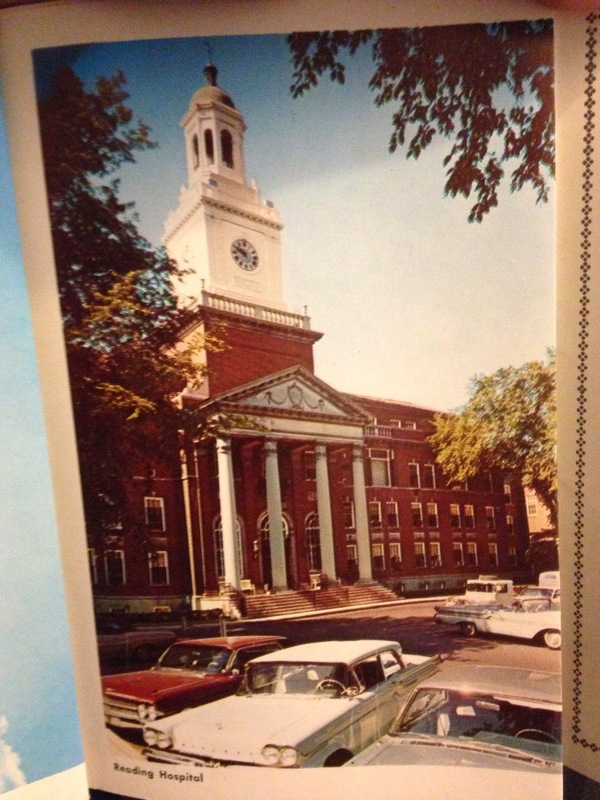 This beautiful building is the Reading Hospital, also still in existence. Below is the Mt. 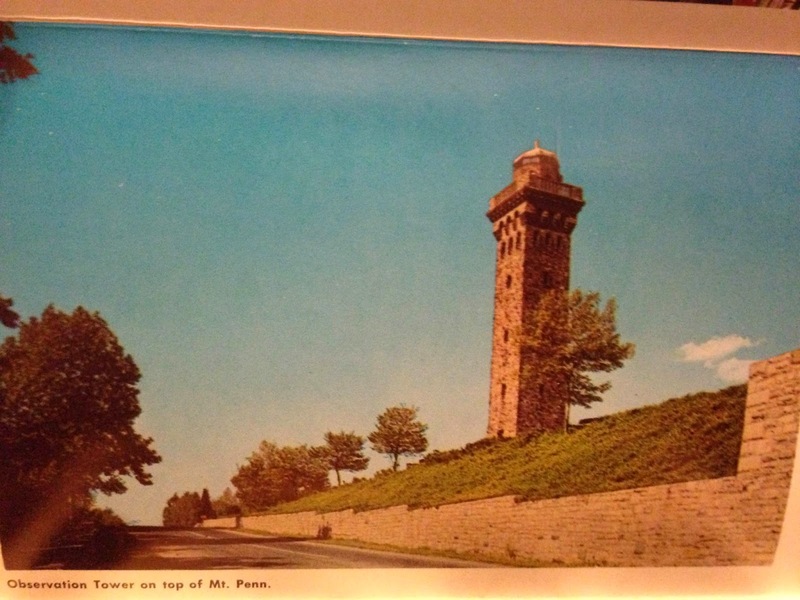 Penn Observatory tower, still around and now known as the Mt. Penn Fire Tower. It is 120 feet tall and it overlooks Reading and the Schuylkill River Valley as it makes its journey to Philadelphia about 60 miles southwest of Reading. 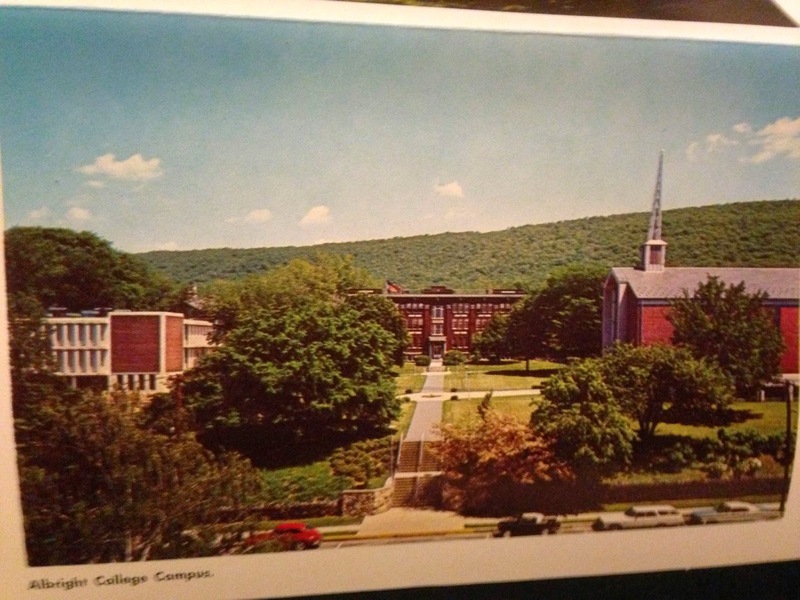 Here is the view of the Albright College campus. Overall, we can see the many different assets that Reading has and with a light industrial base slowly coming back and a growing population, hopefully Reading can claw its way out of the vacuum that came from previous industry vacating the region. Most of these buildings and attractions still exist in one form or another. With preservation and a growth in employment in the region, Reading has a solid foundation for a comeback.